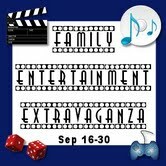 Welcome to the first ever Family Entertainment Hop hosted by Tales From the Nursery and Callista's Ramblings!! What is your family’s idea of Entertainment? Music? Movies? Video Games? Board Games? There are a lot of fun things we can do with our family. So, we wanted to help you and your readers find some new things to try or to help start a family night with the Family Entertainment Extravaganza giveaway hop! 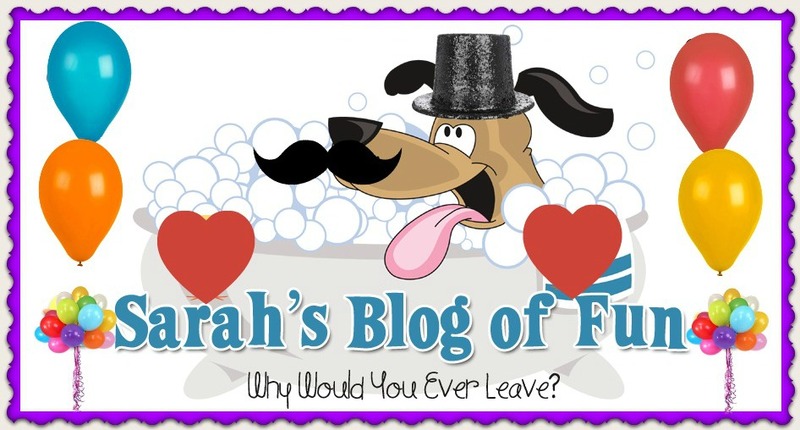 We have 50+ Bloggers bringing you a ton of fun prizes!! We also have a grand prize of some terrific Nickelodeon DVD's!! For my prize bundle, I am including some of my families favorite things!! 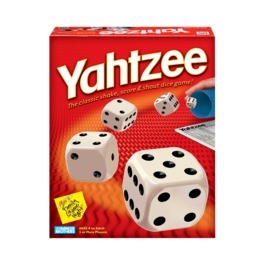 We love to play games and one of our favorites is Yahtzee!!! A fun game that helps kids learn to count!! Plus who doesn't love to yell Yahtzee!!! Another thing we love to do as a family is watch a good movie. 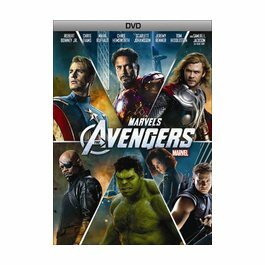 One of our favorites that we saw in the theater four times, is Marvel's The Avengers!! The Avengers is one of my all time favorites. Make a big bowl of popcorn, and enjoy!!! Enter using the rafflecopter form below, and then hop to all of the other great blogs!!! *Tales From the Nursery, Callista's Ramblings and the Family Entertainment Extravaganza bloggers are not responsible for sponsors who do not fulfill prizes. We watch movies and playing twister is always a hit! Our family loves to play Uno together! We like to go for walks and go to the zoo. We love to take road trips together. One fun thing we do is put all the bedroom mattresses into the livingroom, camp out and watch movies. We play ball a lot with our 3 year old. We enjoy playing on our swing set together. We have a Wii game night, lots of fun and energy used. We like to play Monopoly and 4-way Chess. Geo Caching is our favorite family time!!! We have sushi picnics at the park. We have weekly movie nights, take road trips, and find local things to do for fun! We celebrate all birthdays with cake and candles. We love to go to the movies and then play the arcade games after. We love to go camping together,and swimming. We watch movies together.. Thanks for the giveaway! For the last month or so, we're cook together. My kids find the recipes, make sure we have the ingredients and when I get home from work, we put it all together! It's been alot of fun! We play Scattergories and Aggravation. We love heading out the backyard and having a bonfire and roast hot dogs and marshmallows. We also love kicking the soccer ball around and playing Yahtzee. Thanks so much for hosting this great giveaway! We all like playing with the Kinect! We play scrabble or monopoly. We love to play games (Settlers of Catan is our favorite) and watch movies. We have a movie night where we watch family friendly movies, eat popcorn, and eat our favorite foods for dinner! We play games like Battleship and Monopoly. We also play card games. We like to take walks every right after supper. Its a great workout pulling the wagon up hills. We love to go to the library! We love to play games and also spend lots of time outside. We love to go on picnics, go swimming at my works pool! My family and I love to play soccer. Our family did a new fun thing today - we went indoor rock climbing! We try to always have an outdoor family outing on the weekends to go hiking or see one of the beautiful Arkansas State Parks! We love watching movies and eating popcorn in the dark. Yes, we're dorks. LOL. We love family board game night! Going for a drive. It's something everyone in my family enjoys. We like playing computer or video games together. Thanks for the chance to win! When we get together we make everything fun. We've had a lot of "yuck" in our lives and have learned to make the most of every minute we have. We play a lot of games, and we laugh a lot. We like to play games and read together. We have a standing Family Game Night once a month! We sometimes play games together more often, but that one night is sort of game-sacred. We have a family movie night every week with popcorn, candy, blankies, and pillows- the whole nine yards! we love to have Family Game night. It's a blast! We buy an annual zoo pass, so we go to the zoo as a family all the time! We love to go camping in the summertime, and watch movies in the wintertime. Ever since they were little kids, my son, daughter, and I have played chess together on a Marvel Heroes set. We loved to go Camping! We like to go kayaking! we go to local parks and sight see. In the summertime we like to go to the free outdoor movies in the park. We go to Disneyland together. Which is saying something since I go with my grown son and his wife. We love to go geocaching and camping. Board games too..we love the game Sorry!